The public have forgotten about Flint. The news cycle has moved on from the worst water crisis in US history to focus on a man’s Twitter account. To ensure water conditions in Flint remain a topic of discussion, Smart Water is creating it’s own channel forcing customers to tune in. 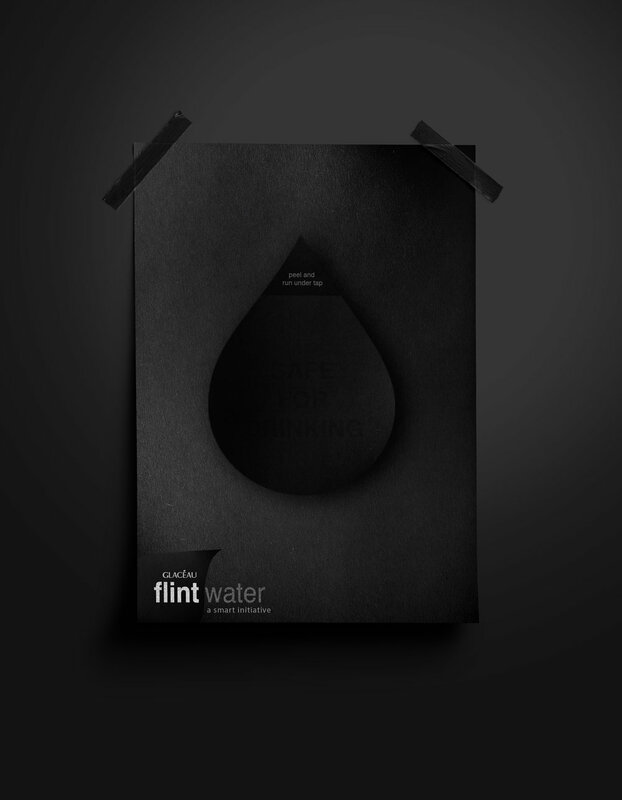 Flint Water is Smart Water with activated charcoal, turning the shelf space it occupies into a headline that isn’t easily ignored. Customers must consider the improvement, or lack thereof, of the water conditions in Flint anytime they purchase water. Flint Water will remain dark until improvements are made, with the water in the bottle becoming clearer as conditions improve.